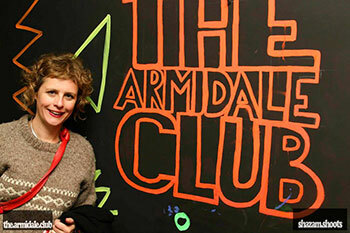 In 2016 the New England North West Science Hub will present four big science events live in the Armidale Club. The New England North West Regional Science Hub based in Armidale is planning a new series of Science in the Club events for 2016. Four big ideas in four nights that will bring scientists, politicians, farmers, philosophers and Australian citizens together to debate big ideas. The Science Hub also plans to broadcast these conversations to lounges, kitchens and pubs using webinar technology so that Australians in far-flung places will be able to join in the fascinating discussions, debates and deliberations. The Science Hub’s first event in March will look at shifting paradigms and ask how radical ideas in science have played out in the international arena to become ‘common knowledge’. Big thinkers and strong science will come together to create seminal ideas that infiltrate society and culture. Next, they will tackle the controversial and oft dividing topic of feeding the world through changing climates. This event will look at changing abiotic, political and cultural climates in Australia and across the globe and ask how Australian farmers are handling complex challenges in order to feed their family as well as the world? Where does politics sit along this line? Some big guns will be rolled in to debate this topic! After that, the Science Hub will focus on the STEM agenda – Science, Technology, Engineering & Maths. With STEM hot on the lips of our leaders at the moment, the race is on to develop a culture of curiosity and imagination, creativity and innovation. Australia’s Chief Scientist and Prime Minister alike are falling over themselves to embolden the entrepreneurial spirit via STEM for future opportunities to generate successful jobs, products and services. So what would it take for kids, their parents and teachers to take on the STEM agenda? And just when you thought cloning was the pinnacle of the genetics wars, the 2016 event series will wrap up with Playing God, with a look at how the secrets of our very humanity are unravelled through our DNA. To many scientists manipulating DNA is akin to a Meccano engineering set. What are these people doing? To whom or what? And why? All those in the New England region are warmly invited to attend at The Armidale Club in person. The dates and speakers will be announced soon. Everyone else should keep your eyes peeled for webinar schedules. You too can be inspired to think big, challenge the status quo and open conversations you might never have thought you’d have in regional, rural and remote Australia. The North West Regional Science Hub can kick start it for you in 2016. Dr Kirsti Abbott is an ant ecologist at the University of New England in Armidale and coordinator of the citizen science project called School of Ants. http://schoolofants.net.au/ Kirsti is also a member of the New England North West Science Hub.